A great fundraising tip is to convey your non-profit’s mission during your fundraising event. This is the perfect time to tell your organization’s story and raise awareness while you have a captive audience. You should capitalize on this opportunity. When they know more about your organization, they will be more inclined to support it or increase support. Showing a mission video at your event is a great way to efficiently convey this message. Start this process by creating a mission video. The video should be no longer than three minutes. A video is controlled and can be scripted and timed to your specific needs. A live presentation is very unpredictable and can create timing issues at the event. It’s definitely worth the investment to have a professional videographer create the mission video for you. Contact us if you would like a referral to someone to help you with this or to see sample videos. The video should be shown during your fundraiser after everyone is seated. 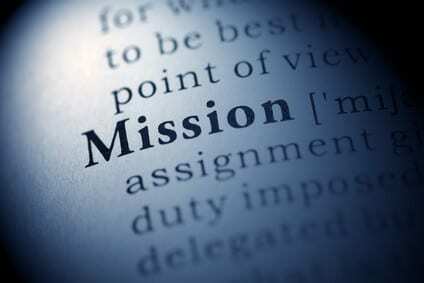 The chairman of the board or an executive in the organization should discuss the non-profit’s mission. They can be filmed or they can provide a voiceover for the video. The videographer can help with this task. Write a compelling script for your video. Include brief information about your non-profit’s major accomplishments. Include 1-2 brief testimonials from donors/supporters. Include 1-2 powerful testimonials from people who have been helped by your non-profit. Outline the organization’s future goals. Let people know how their donations will be used to help others. Include information on why the organization was created and when it was created. The video should make an emotional appeal. Make it clear why they should support your organization. The videographer will also have suggestions. It’s important to maximize the use of this video. It can be a great public relations tool for your non-profit. Add it to video sites like YouTube and Vimeo. It should be added to your website and to social media sites as well. If you are selling tickets to your event online, holding an online auction, or using mobile bidding, include the video on all of these platforms. It’s also a good idea to have a projection screen at the event showcasing pictures of the people your non-profit services. Have signage throughout the venue with information and images about your non-profit.